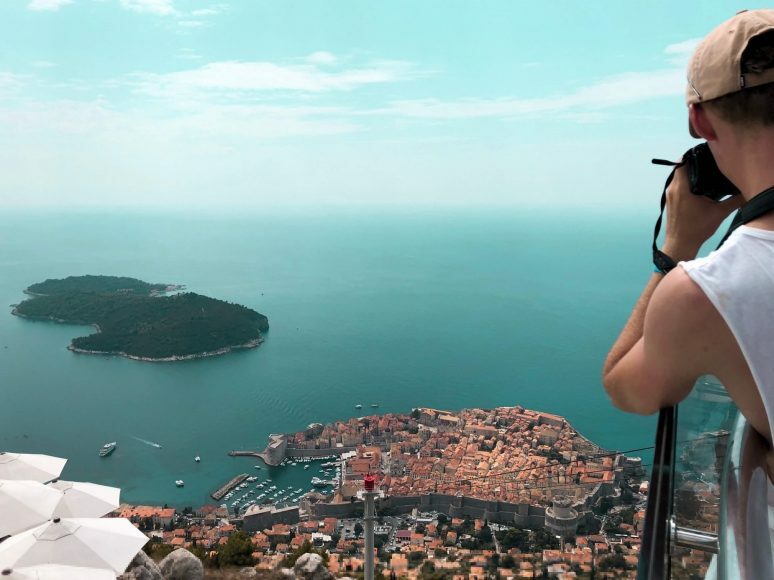 Dubrovnik, Croatia was my first solo trip outside of the comforts of the United Kingdom, and true to form I didn’t get a minutes sleep the night before my flight. Hazy and unkempt, as always the case when I travel anywhere at all, I proudly donned my elephant pants (the calling card of the enlightened traveller) and left for the airport. 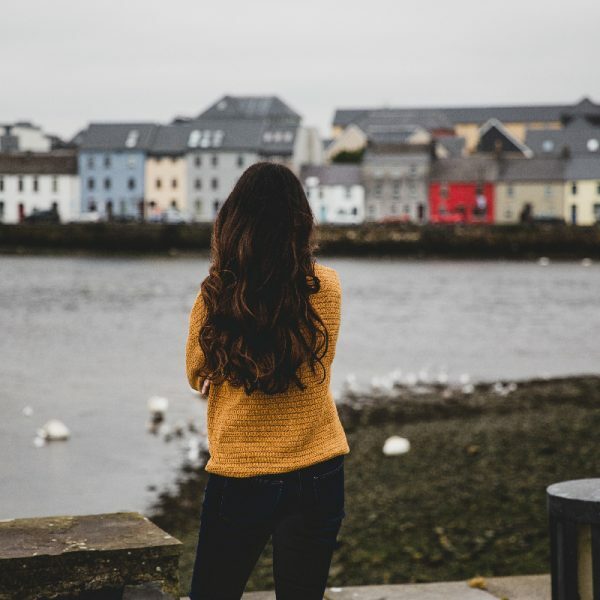 Well accustomed to catching planes alone on my latest adventures, the nauseous feeling in the pit of my stomach was associated with the idea of nobody being on the other end when I reached my destination. As always with these anxieties, the version of events upon my landing played out much less like a Liam Neeson movie and more like an idyllic dream. With my overactive brain pre-booking what was described as a ‘shared’ transfer to my hotel, I found myself alone in the back of a large Mercedes. As our vehicle was climbing and weaving mountain-roads, I was able to peer over at stunning azure blue vistas of the Adriatic and Croatia’s closely-neighbouring islands, whipping by between flashes of green shrubbery. 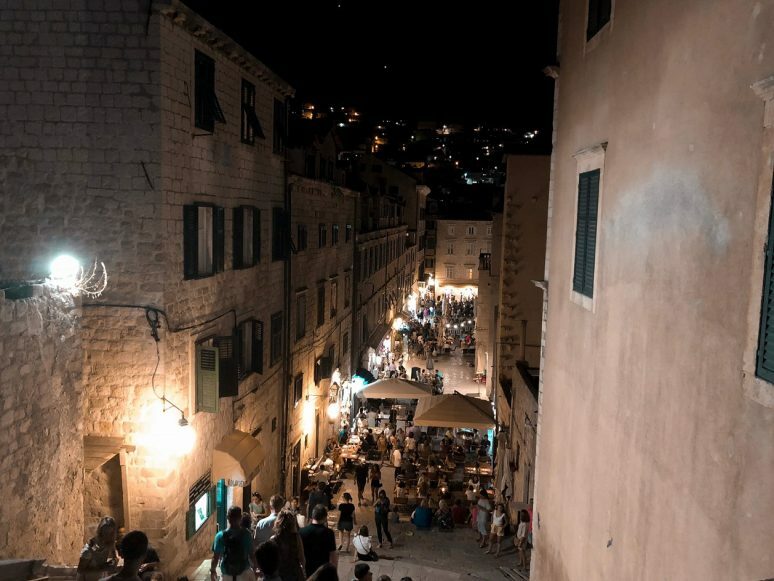 On my first evening in Croatia, though daunted at the idea of taking a dimly lit stroll through the locality, I showered, changed, and hesitantly made my way out. Stepping onto the street outside my hotel, I was greeted by warm sea air and the gentle bass from dance music out towards the nearby Lapad Beach. I had tapped a wishlist of destinations into my phone and headed out towards the first – the nearby Cave Bar More. A short walk along a narrow path overlooking the sea led me here, meeting some cats and watching locals diving from rocks out into the blue like mermaids on the way. 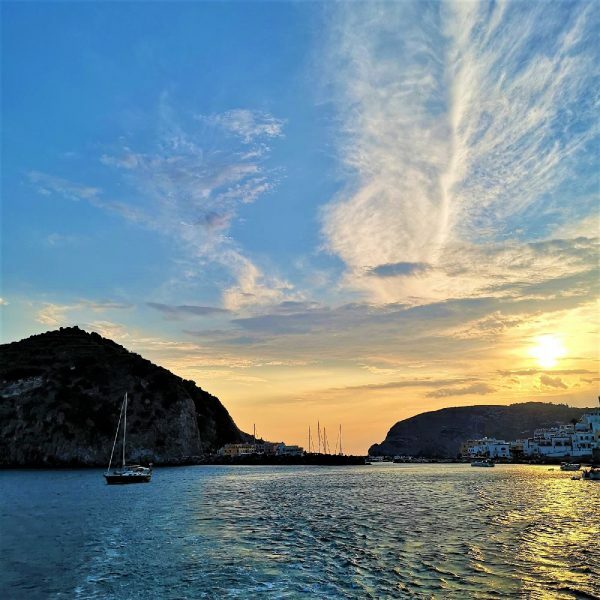 The backdrop of the setting sun cast silhouettes of yachts and washed the scenery with a citrus orange haze. The first thing you need to acknowledge and find peace with when solo anywhere is that people will look at you. The bar was quiet inside, and the staff’s eyes locked onto me expectantly. Clearly, I was radiating palpable nerves. I ordered a rum and cola to settle them and admired the jagged edges and cavernous hollows of this little secret carved into the rock face. Admittedly due to the limited scenery, this destination is better experienced with company, so I sipped my drink and listened to nearby English conversations. Checking the time until sunset on my phone, I strolled onto the deck outside around 8pm and watched the oranges and purples burst out over the sea and the rocks, whilst observing two girls taking Instagram photos out of the corner of my eye (with mild envy). My first full day saw me nervously navigating my way to a bus stop in Dubrovnik a short walk from my hotel. Initially daunting, but again outrageously and obviously easy. The bus had arrived as I turned the corner, putting on a light sprint I slipped through the doors and faced a crowd of people in 30°C heat. Finding myself without the correct change, the bus driver allowed me a free ride into the Old Town. Surprised, but gladly comforted at my first experience of astounding hospitality by the locals, I thanked him and arrived at the famous Pile Gate around midday. I’m sure that many places have been described as fairytale settings, most notably Bruges if you’ll recall, but Dubrovnik Old Town is hard to believe. I felt like I had slipped back in time, reminding myself all the while that this was not a recreation in a Disney park. Scattered through the Old Town you will find ornate fountains sprouting clean drinking water, an amenity many were taking advantage of during the heatwave. A quick refreshment stop, then off to explore. I referred back to my iPhone notes (the modern traveller) and aimed to take in all the sights. 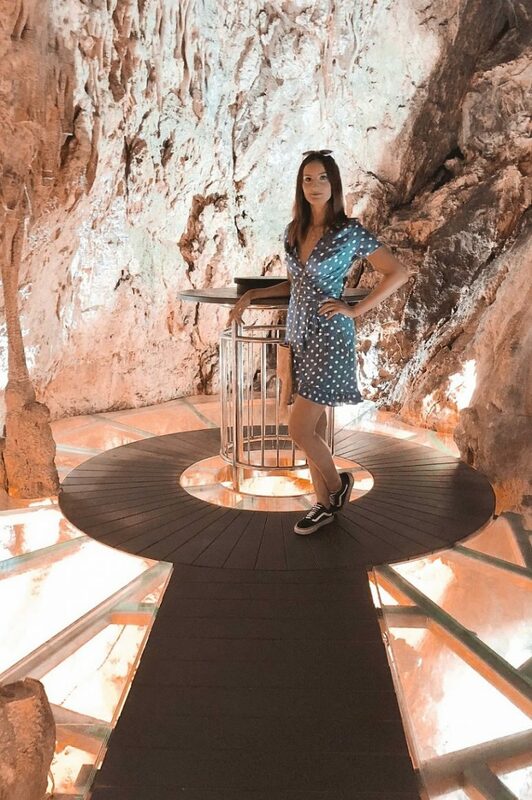 A conversation with a friendly couple at the previous evening’s cave bar pointed me towards The Dubrovnik Card whereby you claim free bus journeys and free entrance to 9 top attractions, including the ancient walls. I would highly recommend this purchase, as the kind of person who likes to take in all aspects of a place (and the kind of person who loves obnoxiously unfolding a huge map wherever I go). I tick them off one by one on the giant concertina map. The ornate and grandly rotund Onofrio’s Fountain that greets you as you enter the city walls, the glistening pavements of the main Stradun street, Orlando’s Column at the foot of the famous Bell Tower, the majestic Rector’s Palace. The bright limestone gives the streets and surrounding buildings a dream-like reflective sheen. Jazz Caffe Troubadour was high on my list. Determined to enjoy the jazz band, who were fantastic, I perched myself on an apartment doorstep a short way from the cafe entrance. Obviously, the manager had seen my exchange with bar staff refusing to serve me unseated and came out in a flurry to offer me a drink and tell me he would look out for a seat for me. I told him I was perfectly happy to sit quietly and enjoy the music, when he disappeared and returned to deliver a large glass of wine. This was definitely a perk of being a solo traveller, as some large groups were turned away from the walls and areas if they did not have a seat. Not a terrible idea in the interest of preserving the atmosphere in the place. Otherwise, the music was incredible and I would highly recommend either getting there early to secure a table or passing through for a song or two after dinner. 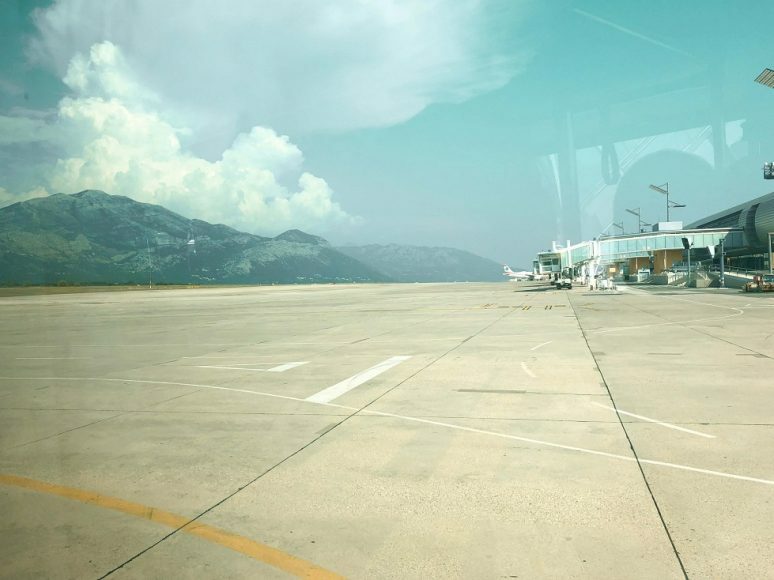 I’m sure many of you who have been to Dubrovnik have caught the cable-car to Mount Srd. 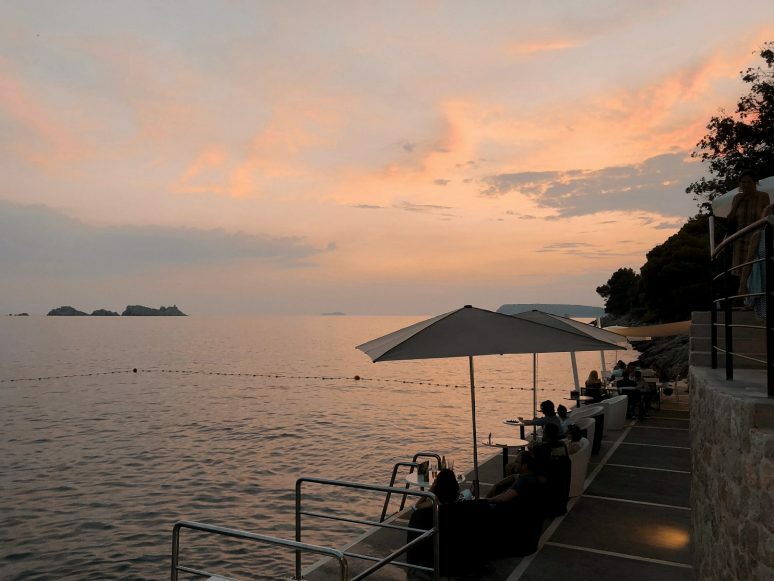 For those who want to unwind and take in the views of the ocean, nearby islands and the terracotta rooftops of the Old Town below, Restaurant Panorama offers fine dining cradled in the hillside. For the adventure seekers, you’ll take the stairs out beneath the restaurant and discover a queue of dune buggies. The buggy safari is exhilarating – with incredible views, opportunities to meet the locals (goats and cows) and navigate the sandy ridges all whilst feeling a little bit Lara Croft. When preparing to channel your inner Tomb Raider, pack sunglasses for eye protection, and know that this 4-wheeled tour will cake you head-to-toe in yellow dust! I would never call myself a history buff, but I do always make a dedicated trip if I can visit a war museum. 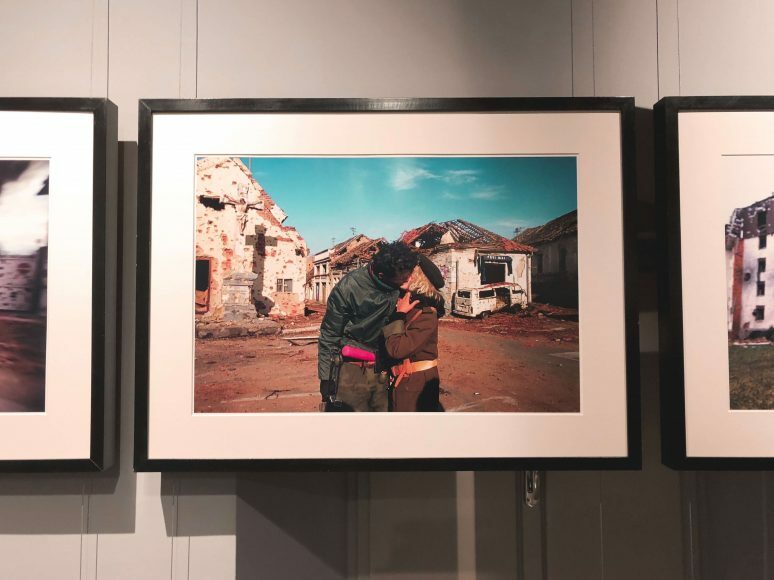 War Photo Limited is a stunning exhibition with captures from photojournalists, predominantly documenting the conflicts in the Balkans and the involvement of Serbia, Croatia and Bosnia in combat in the aftermath of the fallen Yugoslav state. The captures are stunning and eye-opening. 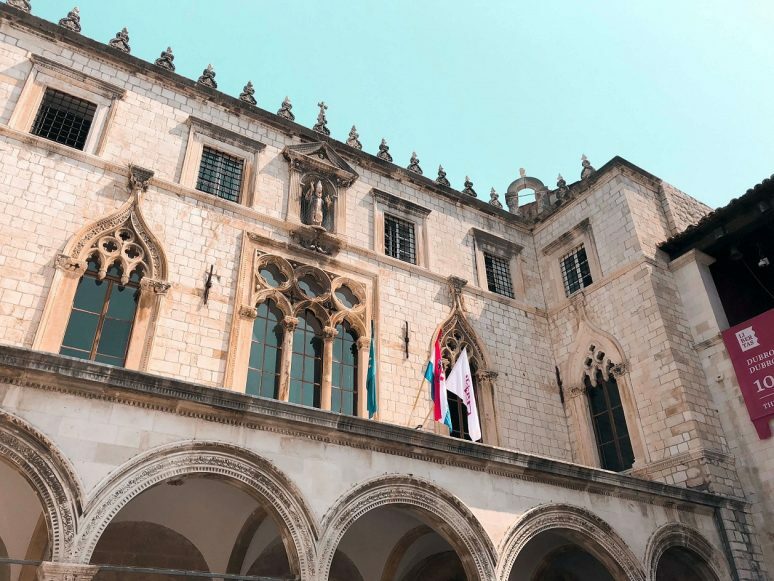 If you’re looking for somewhere to take in history, take quiet reflection and escape the heat, you can find this exhibition tucked away beside Stradun. 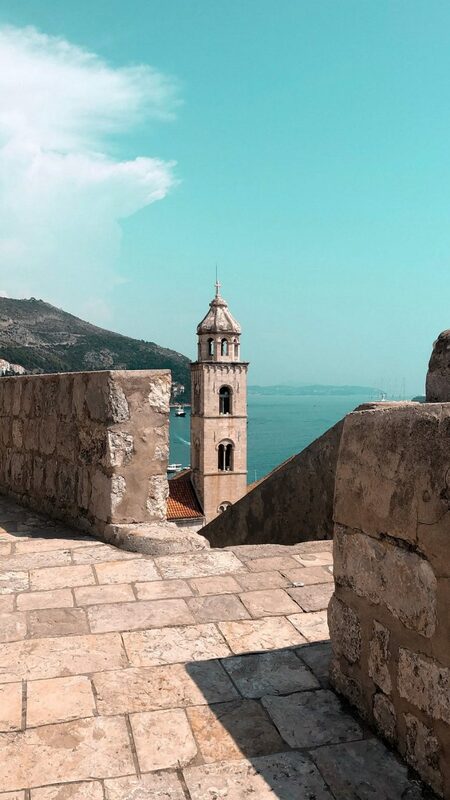 The Ancient Walls are obviously the must-see attraction in Dubrovnik, surrounding the golden and orange colours of the Old Town. You can either explore for yourself or enjoy them as part of a tour. The walls, of course, were initially built for protection against invasion. 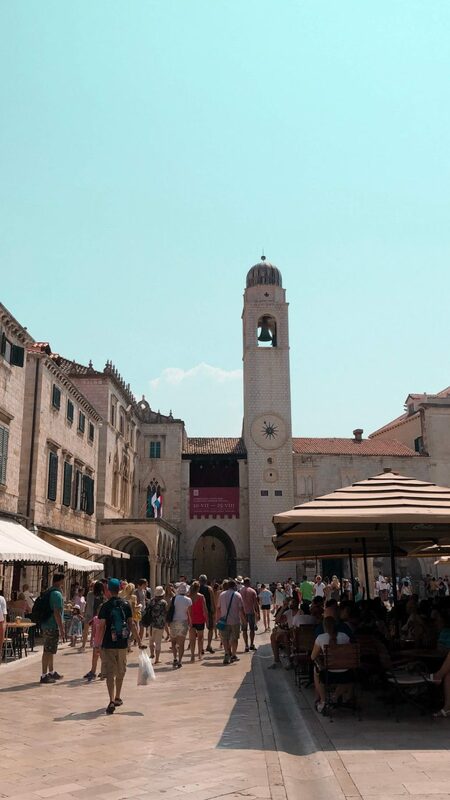 Dubrovnik and the surrounding areas have seen their fair share of conflict over the centuries. From the medieval clashes with the Venetian state to the recent harrowing events of the Yugoslav wars in the early 90s. 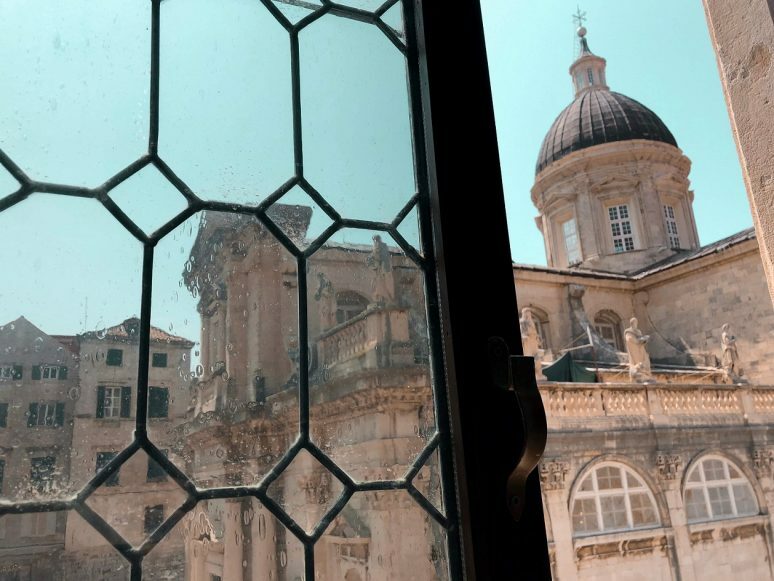 The walls have been well-kept and lovingly restored by the state over the years, affording incredible views out to the Adriatic. The full wall walk is roundabout 2km, with a number of steps and varying gradients, making it quite a challenge in the heat. It’ll take a couple of hours if you stop for photo opportunities, which you absolutely must, so be prepared and stay hydrated. There are handful of exit points, but despite the beating sun and clusters of tourists, I had to finish the full course. 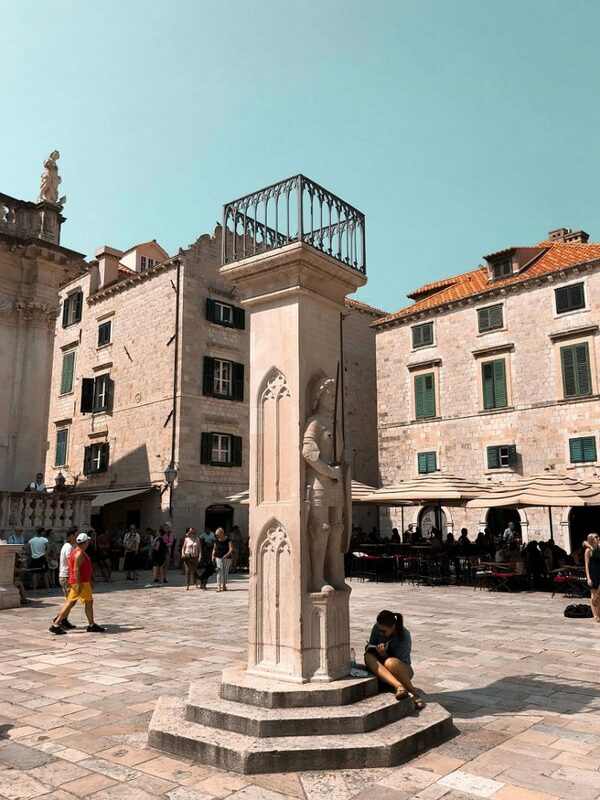 How could I write an article about the delights of Dubrovnik and fail to mention of Game of Thrones? Unfortunately, your writer is not familiar with the series, but a kindly blogger has listed all the filming locations that can be found throughout the Old Town here. The most stunning of all the locations I visited was Fort Lovrijenac. Top tip: it’s free if you’ve kept your ticket from the Ancient Walls (guess who left hers in the hotel?). 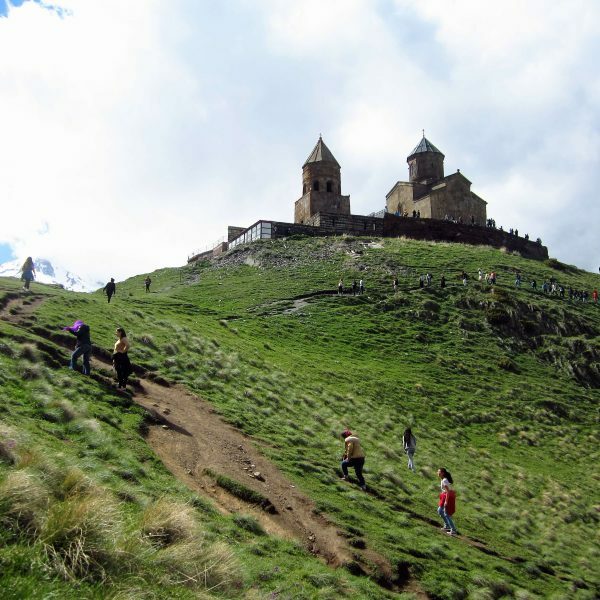 The climb to the fortress is picturesque at any time but breathtaking in the minutes approaching sunset. The limestone stronghold was built in just 3 months when it was discovered the Venetians were planning a fortress in the same location. 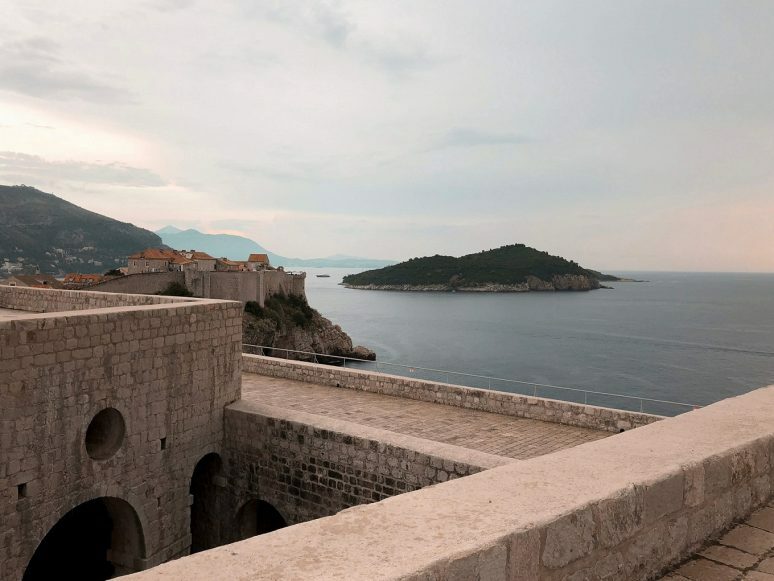 A perfect vantage point and look out over the Adriatic Sea, the fort now doubles as an open-air theatre. Alternatively, if you’re a Game of Thrones superfan and a hopeless romantic, it can be hired as a wedding venue. 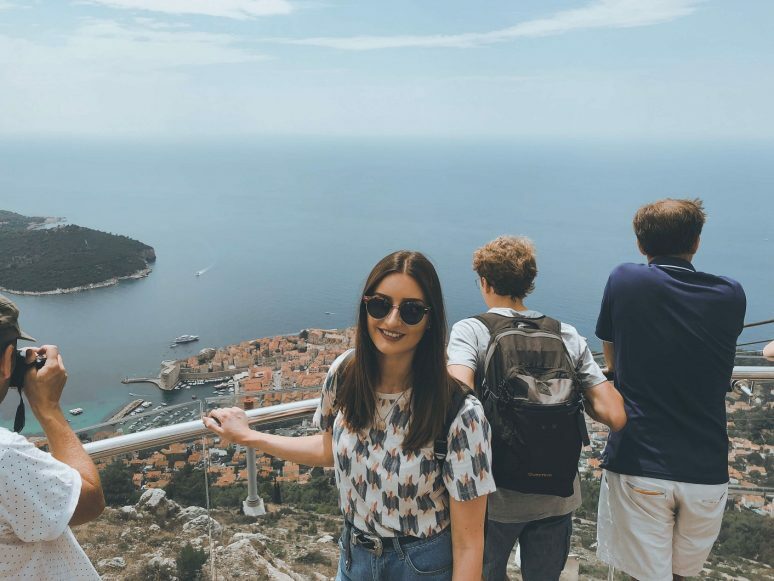 Above all, whether you’re an adventure junkie or you want to relax and roam the limestone streets of the Old Town, Dubrovnik certainly feels like a haven for the solo traveller. The locals were accommodating, kind and welcoming. Through all the little freebies (from a free wine at dinner to a solo discount on the buggy trek) and even from the kindness of other tourists I fully approve Dubrovnik as a perfect starter destination for a solo female traveler. 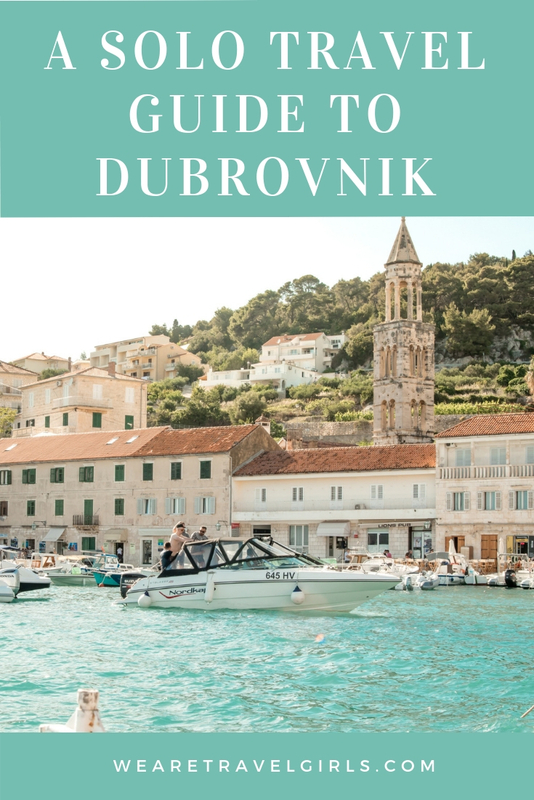 We hope that this article has inspired you to visit Dubrovnik. If you have any questions about the destination please leave these in the comments below. To be honest, I have never heard of this place but it looks beautiful. I think I could plan a visit to Croatia to see this beautiful place. Thank you kindly for this great articles!